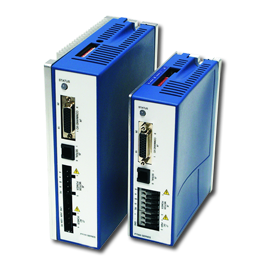 For example, our AKD PDMM® drive eliminates the need for a separate controller, providing a high-performance drive and Kollmorgen Automation Suite™ master control for up to seven additional drives all within a single, compact housing. Our Cartridge DDR® servo motor uses your machine’s own bearings to support the rotor, so you get all the advantages of a frameless direct drive motor with just a few turns of the wrench. And no one offers a larger selection of direct drive servo motors to eliminate components and provide optimum torque in a smaller, more reliable package. Build with fewer parts, and you’ll have fewer problems – plus an easier fix if a problem should occur. To keep things running smoothly, Kollmorgen Automation Suite™ provides a single point of programming and diagnostics for your entire motion system. With support for IEC 61131, plus its own visual tools that make it easy to edit and validate high-quality motion and automation programs, Kollmorgen Automation Suite™ accelerates your up-front development process. And it accelerates mean time to repair (MTTR), so your machine stays more productive throughout its entire lifecycle.